Take advantage of the veteran benefits you so rightfully deserve! Start by having a “Veteran” designation listed on your driver’s license. Learn more about the process and benefits from the Arizona Department of Transportation Motor Vehicle Division. With that designation, you can receive some really great discounts at local and retail establishments. 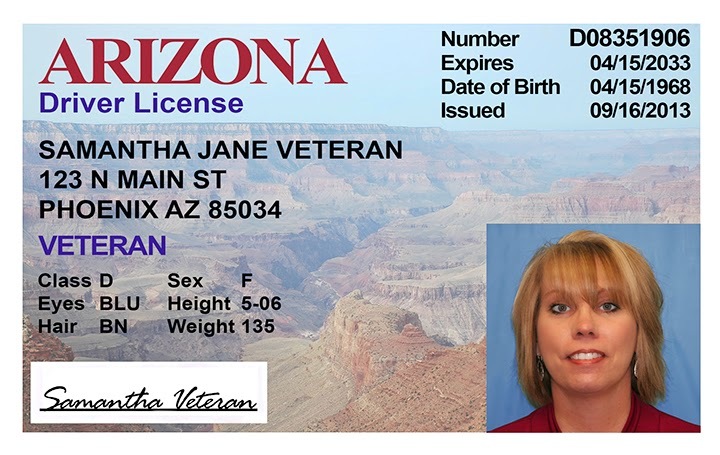 Image by ADOT's MVD as an example of a "Veteran" designation.